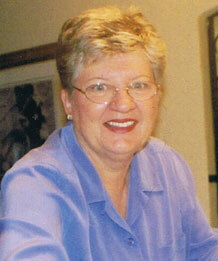 Founder, Gail Shields has dedicated her company to making downsizing and moving as stress-free and smooth as possible. Gail is a member of Professional Organizers in Canada and a natural list-maker. She has extensive experience in planning events, which she will put to good use in organizing your transition to a smaller living space. She relates well to seniors and their families and has empathy for the difficult choices one must make when it becomes necessary to dispose of treasured possessions and make lifestyle changes. Her background as a teacher, market researcher and facilitator have helped to fine-tune her listening skills so she will truly understand your needs and wishes. Her team includes appraisers, movers, dealers, auctioneers, house cleaners and her trusted “SeniorMove Brigade” who are competent, caring and thoroughly trained to help you make All The Right Moves. Together they offer you help and peace of mind through the steps to a new home.